Opt for food rich in probiotics (fermented food) such as kanji, idli, home made pickles, dhokla, miso and home-made curd. Include fish, flaxseeds and walnuts in your diet. Omega-3 fatty acids keep your scalp hydrated. 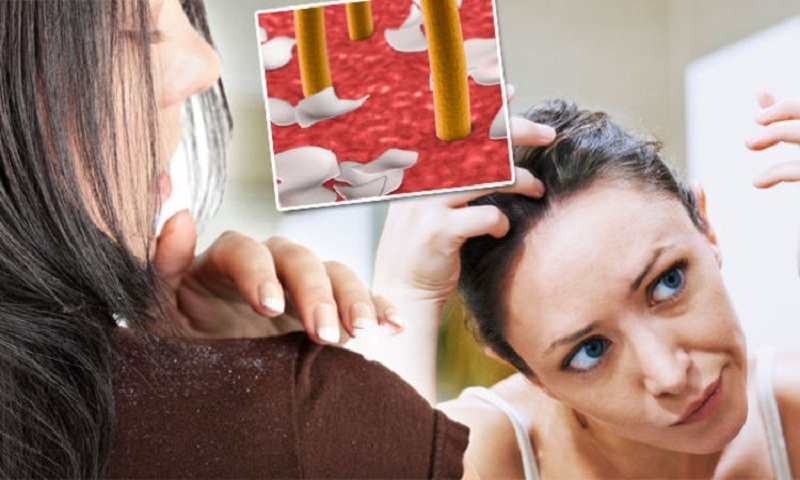 Biotin (Vitamin B7) also helps combat dandruff. Foods such as salmon, sweet potatoes, egg yolks and almonds are a good source of biotin.